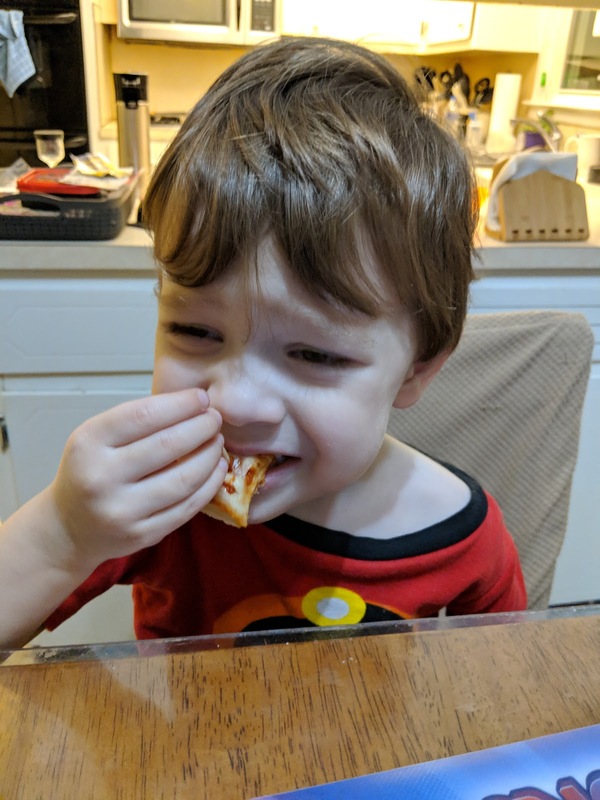 Trying new foods is always a struggle with the little one. Tonight he finally tried pizza, after sitting at the table for over an hour. He ended up eating several pieces, so that's something.